How Wright was wrong: When is it genetic drift? Science is often said to work in three easy steps: (1) observe something interesting, (2) formulate a hypothesis for why that something is interesting in the way it is, and (3) collect more observations to see if they also support that hypothesis. Wash, rinse, repeat, and you eventually get from Newton to Einstein, from Aristotle to Darwin. Except, of course, it’s never that straightforward. Sometimes scientists come up with a hypothesis without a clear-cut example to support it, and then go looking that example. Sometimes observations that support a hypothesis turn out not to, if you look closer. And—here’s the funny thing—this can even happen with hypotheses that are, in the end, pretty much correct. In the spirit of this month’s Giants Shoulders blog carnival, which focuses on “fools, failures, and frauds” in the history of science, I’m going to recount a case in which one of the greatest biologists of the Twentieth Century was fooled by a small desert flower. Sewall Wright was no fool or failure, and he certainly didn’t commit fraud, but he does seem to have been totally wrong about his favorite example of a particular population genetic process, one he discovered. That process, isolation by distance, is widely documented in natural populations today—but it also doesn’t seem to have worked the way Wright thought it did for Linanthus parryae. I’ve discussed isolation by distance before—it’s a population genetic phenomenon related to genetic drift, the random change in the frequencies of genes in populations when natural selection is weak or not acting altogether. When you play out the random evolution of genetic drift across space as well as time, you get isolation by distance—populations that are far enough apart evolve different gene frequencies just because it takes so long for migrants to move between them. IBD, as I’ll call it from here on out, is important to population geneticists because it gives us a “null” expectation, or baseline for comparison, to take to natural populations—if we see more differentiation in the traits or gene frequencies of two populations than we would expect under IBD, then we have reason to think natural selection could be creating that differentiation. Are these little flowers a textbook case of genetic drift, or natural selection? (Flickr: naomi_bot). Sewall Wright conceived of IBD in the midst of the Modern Synthesis, the period in the mid-Twentieth Century when biologists were putting together Darwin’s thinking about natural selection with Mendel’s discoveries in genetics, mixing them both with probability theory, and coming up with mathematical models of evolution that we still use today. Wright presented the math underlying IBD in a 1943 paper in the journal Genetics [PDF], as an extension of his earlier work on the effects of inbreeding, migration, and genetic drift. 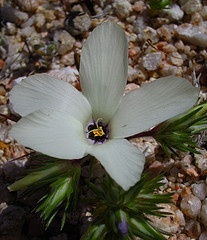 No relation between the composition of populations of Linanthus Parryae and the environment in which these populations live is detectable. … the region studied is homogeneous both with respect to physical factors and with respect to plant associations. The boundaries between the variable and the predominantly white areas do not coincide with any perceptible migration barriers. The only pattern Epling and Dobzhansky found was that patches of L. parryae were very likely to have frequencies of the two flower colors similar to other, nearby patches—and the correlation between color frequencies weakened as the distance between patches increased. In 1941, Linanthus formed an almost continuous carpet over hundreds of square miles, resembling a light fall of snow amongst the Larrea bushes. In 1950, 1951, and 1959 it was completely absent from the region … Its dispersion, even in good years, is highly variable even over distances of a few feet. Wild population size fluctuations like that should exacerbate the effects of genetic drift, because when the population size drops sharply—biologists refer to this as going through a “bottleneck”—the small sample of plants that survive is more likely to be unrepresentative of the pre-bottleneck population. But Epling and his coauthors found that the frequency of blue flowers was much more stable than the total number of L. parryae flowering from year to year. In the soil of their study sites, they discovered thousands of L. parryae seeds waiting for the right conditions to germinate—a pretty common strategy for desert plants. In any given year, only a small fraction of this “seed bank” sprouted, so the effective population of L. parryae was much bigger than anyone had realized. “Our data suggest that the total population is sufficiently larger than the annual increment, on the average, that local deviations quickly subside to the norm, like a flattened wave,” Epling and his coauthors wrote. They concluded that this spatially variable, but temporally constant “norm” of flower color frequency was likely due to natural selection, although they couldn’t identify the source, or measure selection acting on the plants. Figuring out what was going on with Linanthus would take direct measurement of natural selection associated with flower color. That analysis arrived more than four decades after Epling’s paper on the seed bank, when Doug Schemske and Paulette Bierzychudek set out to directly compare the fitness—the number of seeds produced—for L. parryae plants with blue flowers and white flowers. 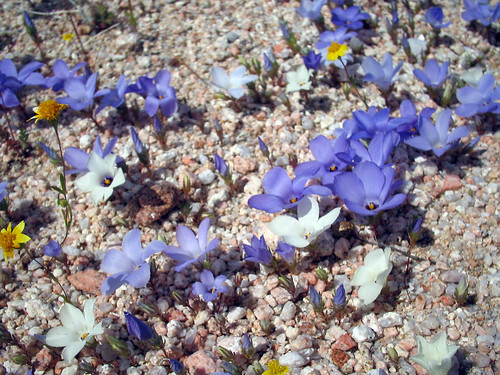 A patch of Linanthus parryae in Bradys, California, with both blue and white flowers. (Flickr: naomi_bot). Schemske and Bierzychudek conducted an 11-year study of natural selection [PDF] on flower color at two sites where both white and blue L. parryae grow, including one of Epling’s original study sites. They found an interesting pattern: in years when few seeds were produced overall, blue flowers produced a larger proportion of the seeds. The overall seed production at Shemske and Bierzychudek’s study sites tracked with rainfall in March and April—so blue flowers seemed to have higher fitness in dry years, and white ones in wet years. 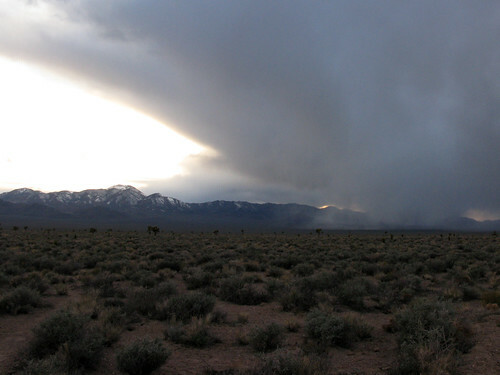 This meant that the seed bank discovered by Epling and the unpredictability of rainfall in the Mojave could together maintain the color frequencies in mixed blue-white patches of L. parryae. In bad years, blue flowers contribute more seeds to the seed bank; in wetter years, white flowers contribute more. 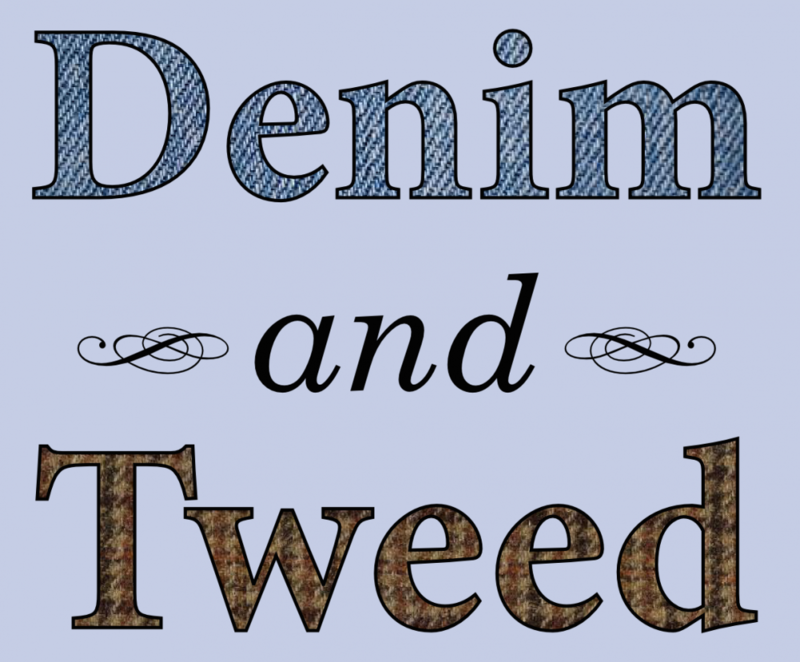 Overall, the contributions balance out, and the frequency of blue flowers in the seed bank, and in the subset of seeds that sprout each year, stays about the same. But the distribution of blue L. parryae flowers varies more across space than over time. Could natural selection also explain why pure-white and pure-blue patches occur, as Epling and Dobzhansky originally recorded, less than 500 feet apart? To answer this, Schemske and and Bierzychudek examined two such patches [PDF] on either side of a shallow ravine close to Epling’s study area. On one side of the ravine, L. parryae was almost exclusively white; on the other, it was all blue. To test whether selection or drift was responsible for this sharp white-to-blue transition, Schemske and Bierzychudek compared the differentiation in color frequencies to variation in neutral genetic markers (allozymes, actually, which are not exactly genetic) and sowed experimental plots on either side of the ravine with mixes of white and blue seeds. If drift was responsible for the distribution of white and blue flowers on either side of the ravine, then the distribution of variation in neutral genetic markers would parallel the distribution of flower colors, and flowers of both colors would grow about equally well in experimental plots on either side of the ravine. However, variation at the neutral genetic markers was more or less the same on either side of the ravine. Plants in the experimental plots behaved much as Epling’s 1960 study would have suggested: in a wet year (1995) white-flowered plants produced more seeds than blue-flowered plants on the mostly-white side of the ravine; and in a dry year (1996), blue-flowered plants produced more seeds than white-flowered plants on the mostly-blue side of the ravine. So natural selection seems to be the cause of the blue-white divide across the ravine—over just a few tens of meters! But natural selection from what? Surveying a number of common Mojave desert plants (not, alas, my favorite one, Yucca brevifolia), Schemske and Bierzychudek found that many grew more densely on the side of the ravine dominated by blue L. parryae. A range of soil chemistry factors also differed on either side of the ravine. None of this directly identifies how flower color is connected to better performance on either side of the ravine for L. parryae, but it shows a range of detectable environmental differences at the same spatial scale as the white-blue divide. What do we gain from all this back and forth over the natural processes shaping the color of a diminutive desert plant? 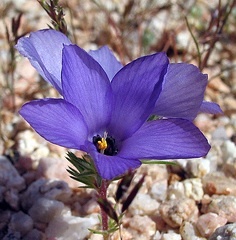 Wright’s ideas about isolation by distance have turned out to be highly important for studying the genetics of natural populations, even though he was wrong about the particular case of Linanthus parryae. But textbook examples are worth testing precisely because they’re textbook examples, and digging (literally!) into the natural history of Wright’s favorite example of IBD yielded new puzzles about these little blue-or-white flowers. Accumulating observations, designing new experiments, and testing what we think we already have figured out is how science expands our understanding of the world. It works—and, if I do say so myself, it’s usually fun getting there. Epling, C., & Dobzhansky, T. (1942). Genetics of natural populations. VI. Micro-geographic races in Linanthus parryae. Genetics, 27 (3), 318-32. PDF on journal website. Epling, C., Lewis, H., & Ball, F.M. (1960). The breeding group and seed storage: A study in population dynamics. Evolution, 14 (4), 238-55. PDF on JSTOR. Schemske, D., & Bierzychudek, P. (2001). Evolution of flower color in the desert annual Linanthus parryae: Wright revisited. Evolution, 55 (7), 1269-82. DOI: 10.1111/j.0014-3820.2001.tb00650.x. Schemske, D., & Bierzychudek, P. (2007). Spatial differentiation for flower color in the desert annual Linanthus parryae: Was Wright right? Evolution, 61 (11), 2528-43. DOI: 10.1111/j.1558-5646.2007.00219.x. Wright, S. (1943). Isolation by distance. Genetics, 28 (2), 114-38. PDF on journal website..
Wright, S. (1943). An analysis of local variability of flower color in Linanthus parryae. Genetics, 28 (2), 139-56. PDF on journal website. This entry was posted in science and tagged genetic drift, Linanthus parryae, natural selection, Research Blogging by jby. Bookmark the permalink.